Nestled into the mountainside on one of the Cape’s most breath-taking coastal routes, abides the majestic Twelve Apostles Hotel. Only 10 minutes from the CBD, yet boasting infinite views of the sparkling Atlantic Ocean, the expansive Table Mountain National Park and the actual mountain peaks, the location of this hotel is unfathomable. A member of the family-run, Red Carnation Hotel Collection, this intimate, 70 roomed, 5 star hotel exudes the ultimate South African flair and luxury. Haughtily poised above the Atlantic Ocean this white Cape Dutch masterpiece provides the perfect meeting point for mountain and sea. The Twelve Apostles houses only the very best in true African hospitality and a stately aura runs throughout ensuring that you feel like a treasured guest at all times. Whether you are inside or out you are in for a feast of the senses. Sit on the deck with emerald green grass expanding out beside you, the full expanse of the ocean in front of you and the blue sky above you. Inside, the vibrant colours, artworks, elegant lighting and flowing corridors instantly re-position you into vacation mode. There is so much to see and enjoy, from antique furniture, to life-size leopard statues, to exquisite botanical paintings to rock pools and orchids; be sure to take it all in. Situated in four secluded wings, the sumptuous suites (55 Deluxe and 15 Luxurious) are specifically designed to ensure maximum appreciation of the views and so all are equipped with expansive windows and over-sized luxurious bedsteads looking out. The Lion’s Head Wing boasts paramount views, a combination of mountain and ocean, and most definitely our favourite! Steeped in pride, the interior style is elegant and exquisite with bespoke arrangements and characters per suite. Immediately, they invite you to unpack, to immerse yourself and to relax; be it in your large free-standing tub, amongst the softness that is your deluxe duvet or on your balcony, feet up and taking in the fresh sea air. What better name for a restaurant gracefully perched over the azure blue sea than “Azure,” itself. Whether it’s the endless continental breakfast buffet, an indulgent high tea or the astonishing À La Carte dinner menu, it will not disappoint. Be sure to compliment your dazzling dinner or lunch with a bottle of the Cape’s finest Sauvignon Blanc or Shiraz from the restaurant’s substantial selection. Across the passage, The Café also offers breakfast, lunch and dinner in the form of lighter meals and a more casual chilled-out atmosphere. The Leopard Bar really is a sight for sore eyes, an authentic African chamber from which to behold the luxurious views. The dark wooded shades of the bar, leopard-print carpets and warm red touches perfectly contradict the deep blues beyond. The balcony provides a textbook setting to watch for whales or just simply “to stop to smell the roses”. Watch the golden African sun dissolve into the jet blue of the sea, while painting the sky cerise, purple, pink and red. The award-winning spa is yet another assault on the senses. Literally hidden into the mountainside exists this magical, underground wonderland. Enrobed in an African print robe and slim, white slippers, the experience whether it’s a massage or a sauna, will have you instantaneously at peace with the world. Freshly pampered, take a wander to the private cinema and enjoy an old classic completely at your leisure. Or why not go for a hike on one of the nature trails and encounter the fabulous fynbos plants. The hotel will even pack you a special picnic for your adventure! 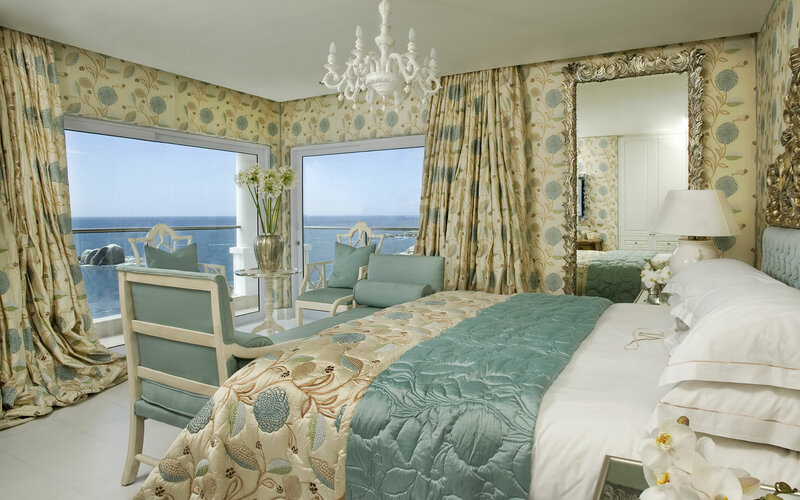 The award-winning 12 Apostles is ideal for a honeymoon, family holiday, wedding or any other celebration. It truly is one of a kind and is currently running a ‘one of a kind’ exclusive deal: “Stay for 4 nights and pay for 3” right up until 19 December 2015. The hotel is just a hop away from Camps Bay or the V&A Waterfront, a most convenient base from which to explore the beauty of the Cape. Should you wish to travel inland and continue exploring, contact Iconic Africa and we will tailor make an out-of-this-world safari experience or an unforgettable visit to the Cape Winelands or why not both! 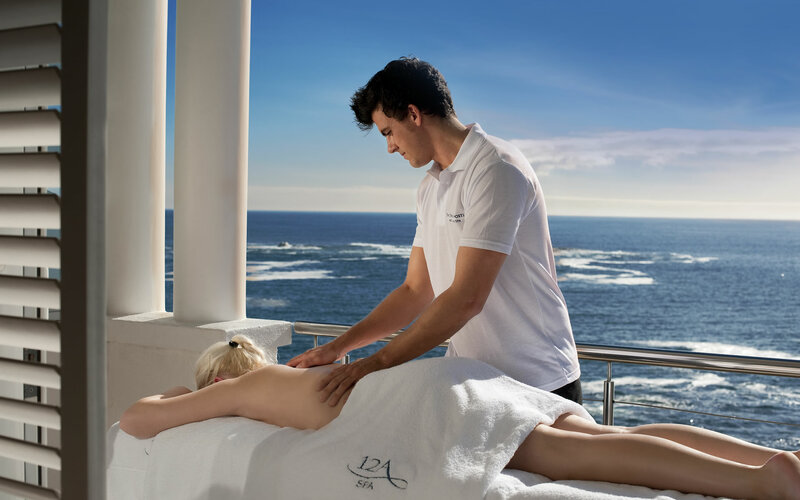 Why The Twelve Apostles Hotel and Spa? 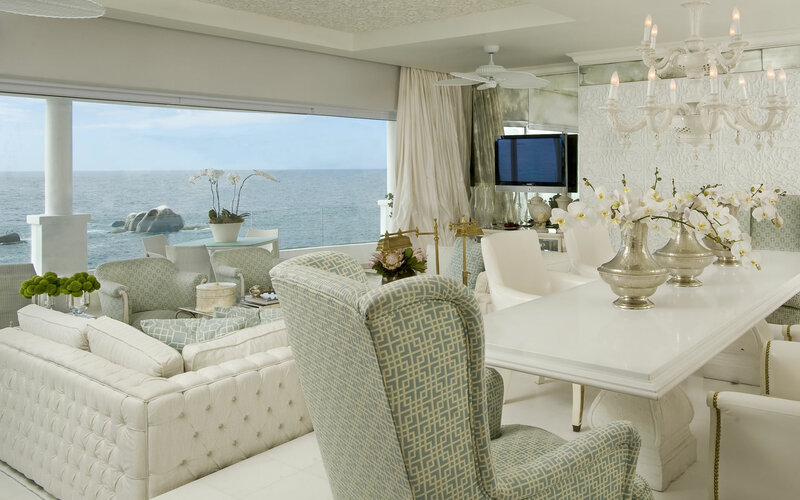 Boasting infinite views of the sparkling Atlantic Ocean & Table Mountain National Park. Ideal for a honeymoon, family holiday, wedding or any other celebration. Only the very best in true African hospitality. Twelve Apostles is Cape Town’s most distinctive and secluded location and is ideal for any traveller seeking privacy and tranquillity during their Cape stay. Simply contact one of our African travel experts and let us tailor make your journey to this and other majestic African destinations! Tree Camp is regally positioned on the periphery of Londolozi’s collection of five luxury lodges, each studded along the lush Sand River. As the very first safari lodge to be accorded Relais and Chateaux status in the early 1990’s, it exudes an air of excellence within the Sabi Sand Private Game Reserve as well as across the world. Singita Boulders is arguably the most stunning lodge in Southern Africa. Set floating above the Sand River, among strewn gabbro boulders and inter mingled among enormous dark Ebony trees this is an African refuge whose tranquillity and beauty is difficult to fathom.